After a scorching Saturday afternoon with temperatures approaching 100 degrees here in Ohio, yesterday’s weather was a welcome break. The high struggled to reach even 70, so SPH, R, G and I spent most of the day outside, working, playing and preparing a really yummy Labor Day meal, including SPH’s first-ever smoking of jalapenos to make homemade chipotle peppers. 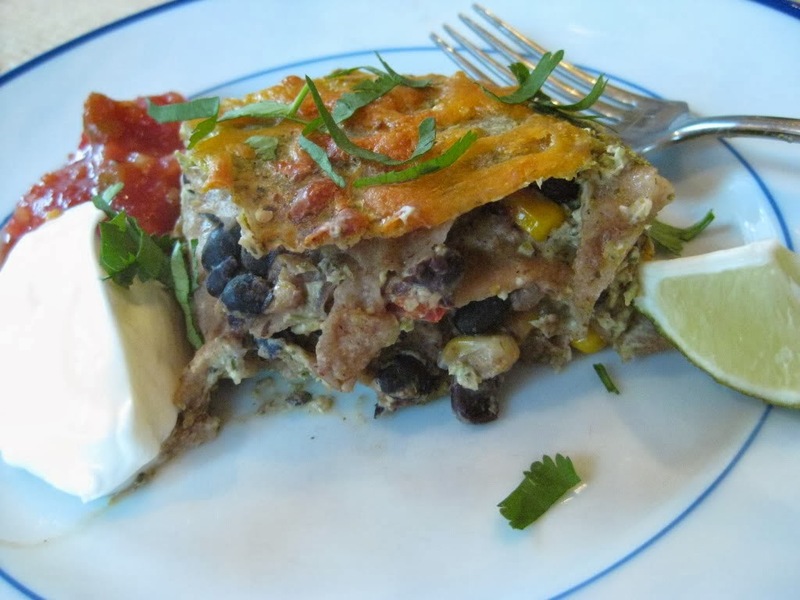 Ahhh...fall, I can feel you coming...and with the fall, comes the perfect weather for a delicious and healthy lasagna. 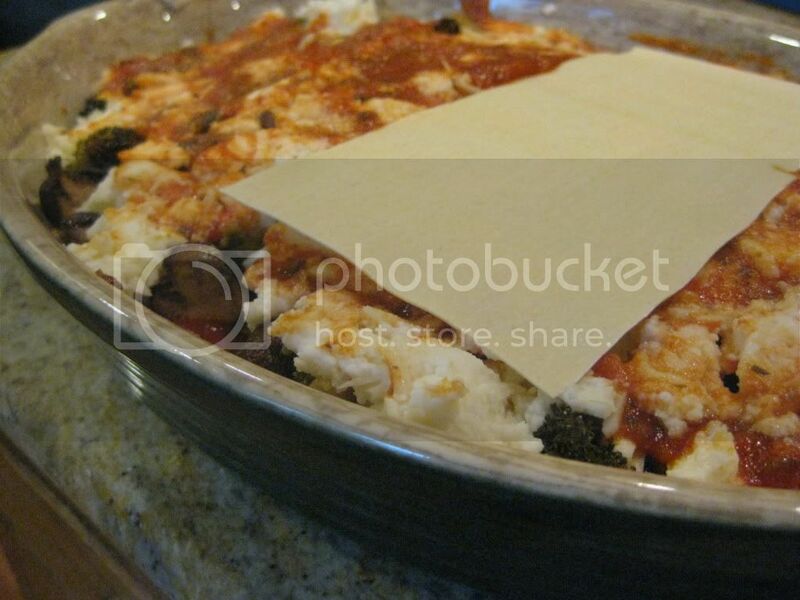 This is my favorite lasagna recipe, a perfect “assemble it in the morning, pop it in the oven for dinner” type of meal. It uses roasted vegetables, and any ole’ combination will work. This time of year we use zucchini from the garden, broccoli and mushrooms. But whatever you think will appeal to your family’s tastes, you can try. Oh, and one bonus: this lasagna is egg-free. Place zucchini, broccoli and mushrooms on a cooking sheet or two if needed, brush or spray with about 1-2 teaspoons olive oil, sprinkle with approximately ¼ teaspoon each of salt, pepper and garlic powder to taste. Cook for 10 minutes, stir veggies on pan, cook 10 minutes more or until they are slightly browned. Remove from the oven to cool. Reduce heat in the oven to 400 degrees, if making immediately, or off, if making ahead of time. Mix spinach and ricotta cheese in a bowl. Season with an additional ¼ teaspoon each salt, pepper and garlic powder. 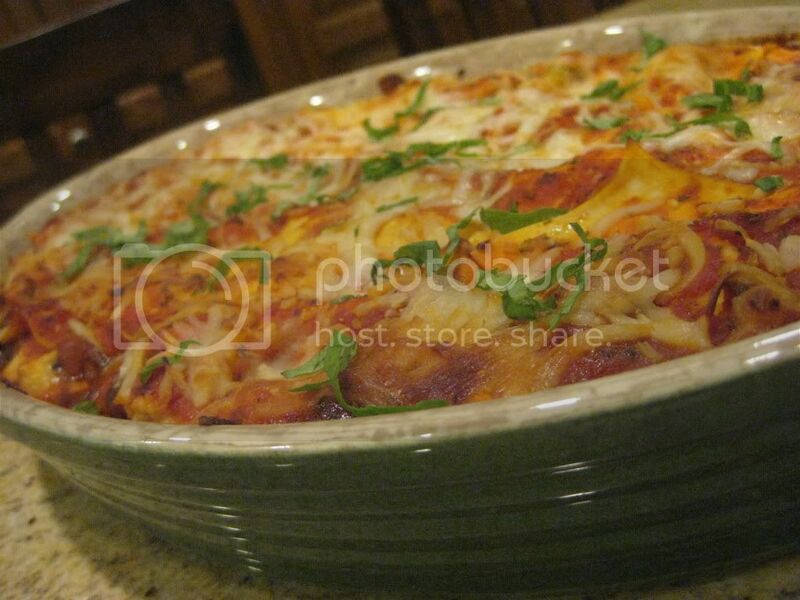 Spread 1/2 cup of the pasta sauce in the bottom of a 9 x 13 glass or like-sized dish. Place lasagna noodles to cover bottom. Spread 1/2 the ricotta cheese mixture, 1/2 roasted veggies, 1/3 each of the pasta sauce, diced tomatoes and shredded mozzarella. Top with another layer of lasagna noodles. Repeat--spread 1/2 the ricotta cheese mixture, 1/2 roasted veggies, 1/3 each of the pasta sauce, diced tomatoes and shredded mozzarella. Place one more layer of noodles, then remaining pasta sauce, tomatoes, and then top with the cheese. Bake uncovered for about 25-30 minutes. Let sit for 10 minutes to set before serving. If making ahead, cover and refrigerate. Can be assembled up to two days before baking. Once ready to bake, bake at 400 degrees covered for 20 minutes, then uncover for 10-15 additional minutes. Let sit for 10 minutes to set before serving. Sprinkle with fresh basil, if desired. Nice info! Thanks for sharing this with us. 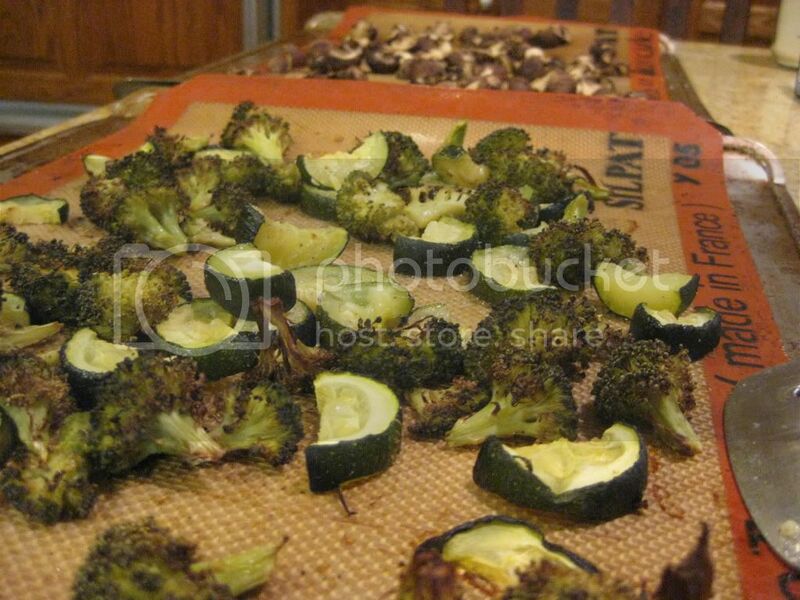 Are those silpat sheets that you show in your picture of the veggies something you can use in place of parchment paper? I use parchment all the time but it is so expensive..